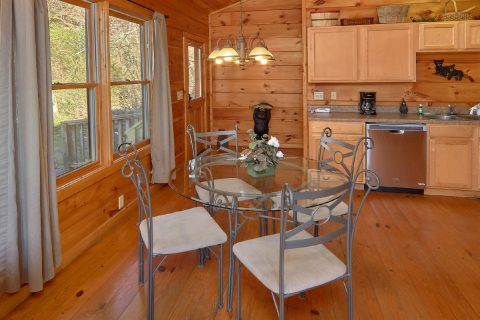 Looking for a cabin that provides quick access to Dollywood and Downtown Gatlinburg? 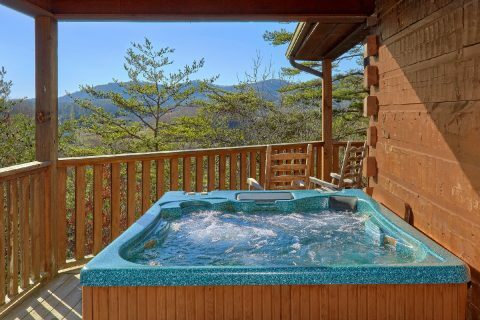 "Bears and Beyond" is an affordable cabin rental in the Caton's Chapel area of the Smoky Mountains that's only 10 miles from Downtown Gatlinburg and only 7 miles from Dollywood and Pigeon Forge! 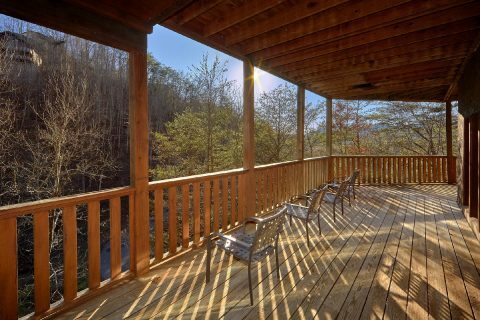 Better yet, this cabin that keeps you close to the best things to do and see in the Smokies also provides you with a lovely forested location with a mountain view, so you can truly relax during your stay! 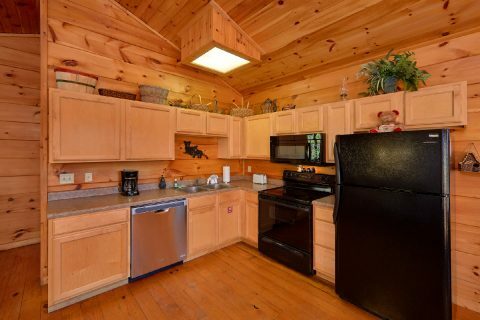 With 2 bedrooms and additional sleeping space, "Bears and Beyond" can accommodate up to 6 vacationers, so it's just the right size for a family vacation or a fun getaway with friends. 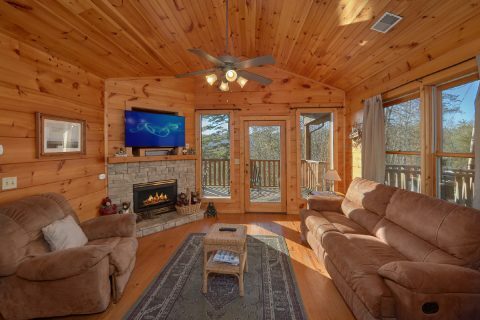 Step inside this cabin's cozy main level and you'll find a living room complete with a television and a gas fireplace, the perfect place to spend quality time with the people who matter most! 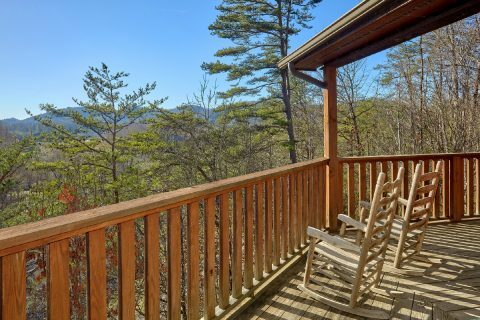 To enjoy your cabin's lovely mountain view, simply step outside onto the back deck. 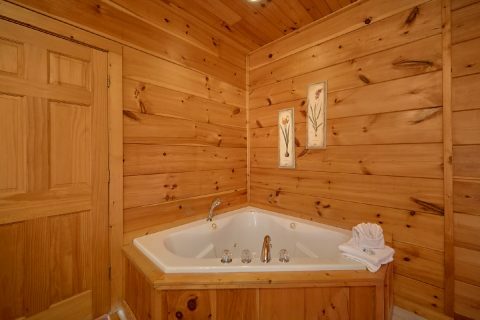 Your rental also provides an outdoor hot tub, so you can enjoy sitting back in the warm waters while you listen to the sounds of nature that surround your cabin. 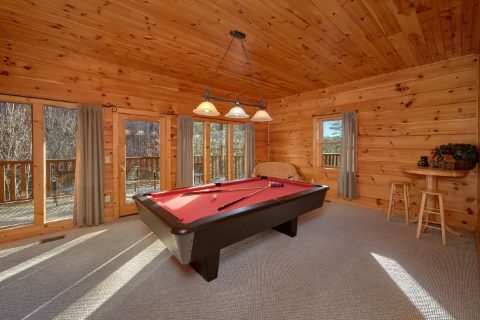 In the lower level game room area, you'll find a pool table that's perfect for enjoying some friendly competition with friends and family. 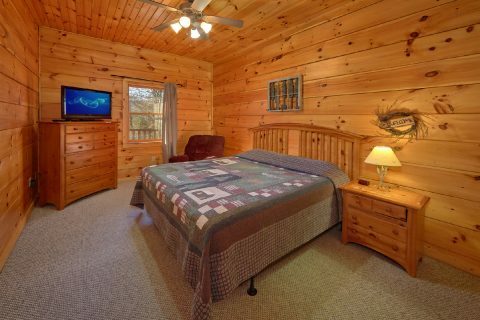 For staying well-rested during your Smoky Mountain vacation, you can use this cabin's 2 private king-size bedrooms. 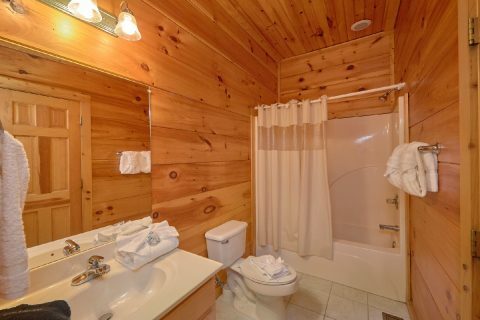 One bedroom on the main level boasts an in-room jacuzzi tub, a television, and a private bathroom, while the lower level bedroom provides a television. 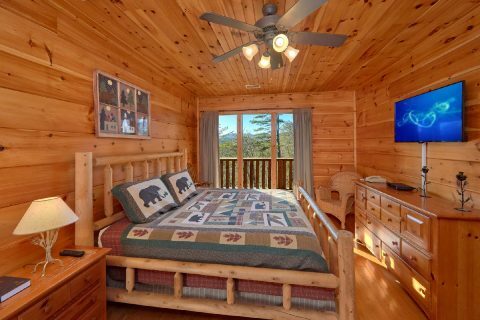 Lastly, the game room area features a sleeper sofa, so "Bears and Beyond" can easily sleep up to 6 guests. 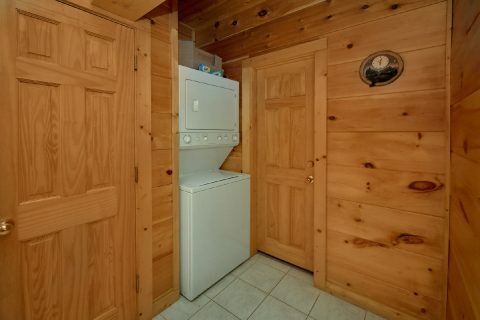 Lastly, this affordable Smoky Mountain cabin provides practical amenities like a full kitchen, a charcoal grill, WiFi Internet, and a washer & dryer to use during your vacation. 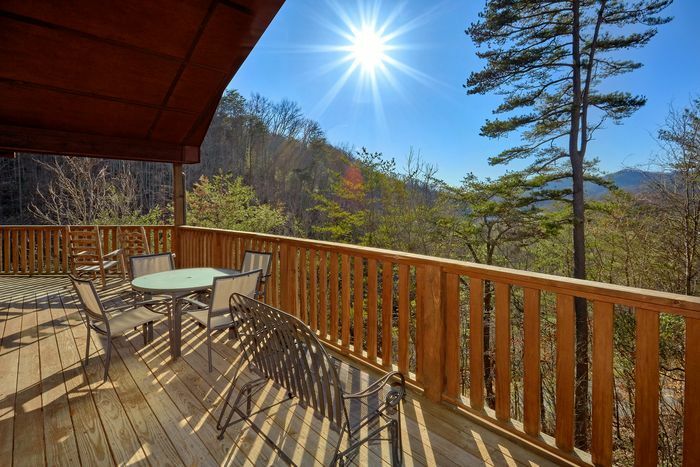 Book "Bears and Beyond" today with Cabins USA Gatlinburg to earn a special 15% discount on your nightly rate! Save on your getaway in the Smokies while you enjoy a quality cabin with everything you need for an unforgettable stay!